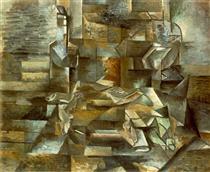 A prominent figure in the development of cubism, Georges Braque was a French painter and sculptor. 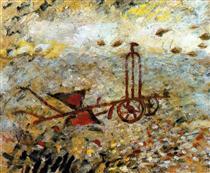 As a young adult, he worked during the day as a house painter and decorator, in the same line of work as his father and grandfather, and he attended evening classes at the School of Fine Arts in Le Havre, France. 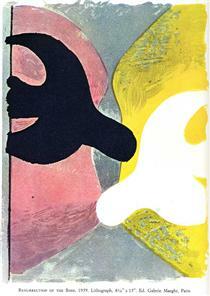 In 1902, he received his certificate as a decorator, but still attended art school, at the Humbert Academy, where he studied until 1904. 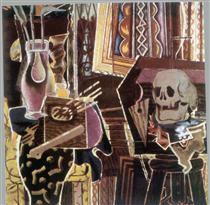 Braque’s early works were impressionistic, but transitioned into a fauvist style after seeing work exhibited by the Fauves in 1905. 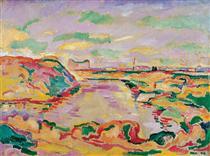 By 1907, his fauvist works were exhibited a the Salon des Independents. 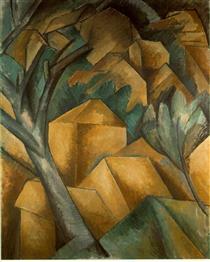 The development of cubism came shortly after Braque met and began working with Pablo Picasso, in 1909. 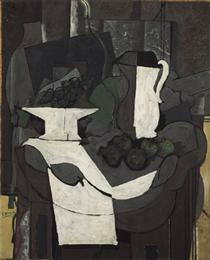 Both artists produced representative paintings with a monochromatic color scheme and interlocking blocks and complex forms. 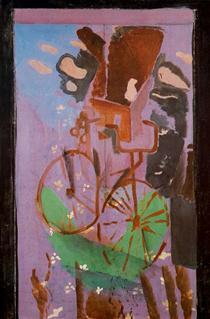 The summer of 1911 was especially fruitful for the artists. 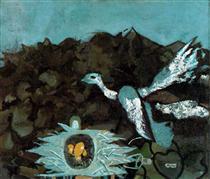 They painted side by side in the French Pyrenees, producing paintings that extremely difficult to differentiate each other’s paintings. 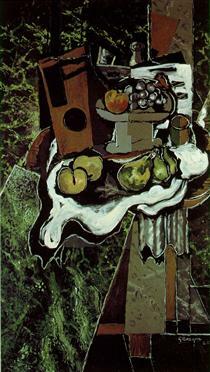 The ultimate result of their time together was the development of a new style of painting, Analytic Cubism. 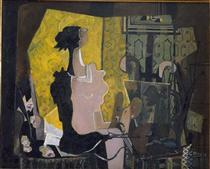 The two artists worked closely together until the outbreak of World War I, upon which Braque joined the French Amy and left Picasso’s side. 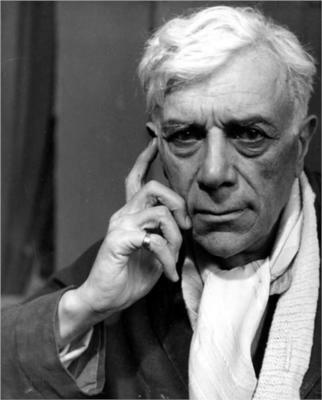 After his return from the war, in which he was seriously wounded in the battlefield, Braque moved away from the harsh lines and sharp pointed complexity of the cubist style, and instead began to paint pieces with bright colors and eventually return to the human figure. 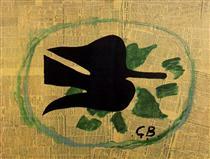 Although he departed from his harsh lines and forms, Braque never abandoned his cubist style. 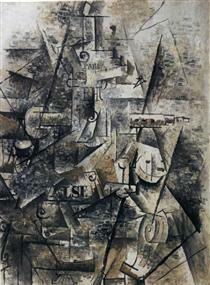 Whereas Picasso freely painted in many styles, from representational to cubist, surreal, and abstract, Braque held true to his fragmented forms and simultaneous perspective. 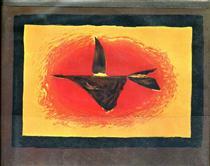 By the time of his death in 1963, he was regarded as one of the elder statesmen of the School of Fines art in Paris, as well as in modern art.